how many weeks on 3rd party ink so far? Another user said they were doing exactly that earlier. 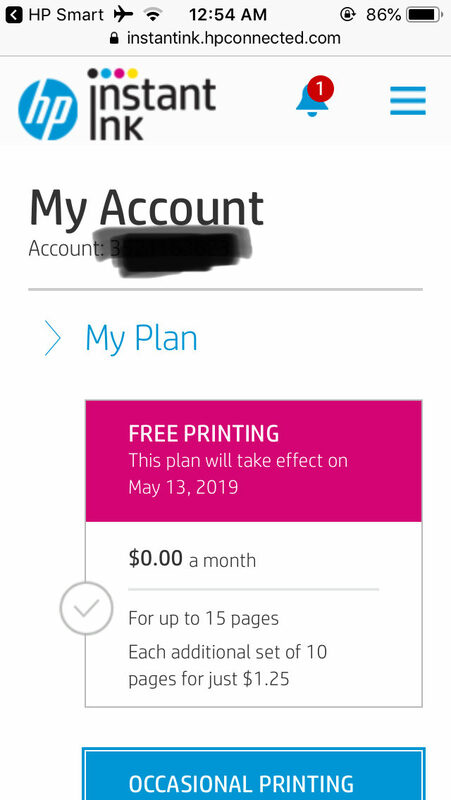 They told me that after my free 2 months of instant ink included ends, I can downgrade my 700 page plan to the free plan. Highly recommend updating the firmware version it will resolve many issues, I spent few hours trying to scan to network share drive Windows 10 and Windows 7 no problem with 7 but couldn’t do it with Windows 10 until I update the firmware, Also it fixed the problem scan to usb and IOS apple air print. hmm 300 or was it 350 pages free for 2-3 months is significant. no, it doesn't do that. It sits there with wifi on and stone dead silent. I haven't seen it run a cleaning cycle yet but it hasn't been a week. Either they are giving different answers to different people, or one of them made a mistake.